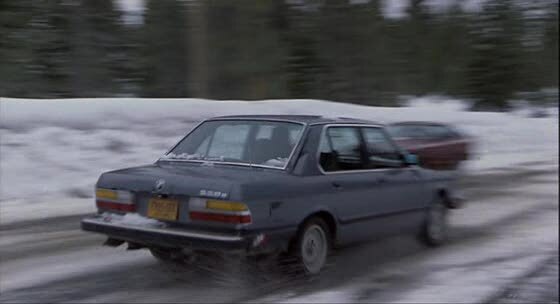 IMCDb.org: 1983 BMW 528e [E28] in "The Survivors, 1983"
The film features Robin Williams and Walter Matthau. An `83-`84 E28 528e is used in 2 scenes by one of the main characters. No chases, or agggresive driving. 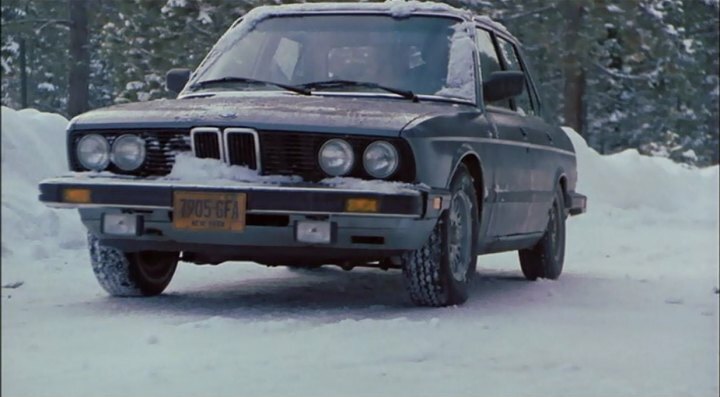 Car used in 2 scenes. Close-up of center-console/radio, and minor interior/ext. shots. It is driven in the snow in 1 scene, wheels lock. (although the producers or editors screwed up in final scene, used the interior of a Cadilac for the BMW - stupid! ).